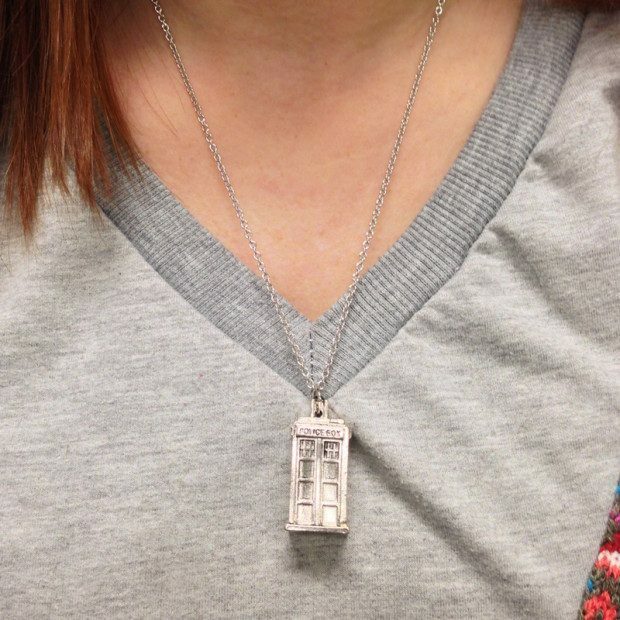 Doctor Who Inspired Tardis Necklace Only $7.99! Ships FREE! You are here: Home / Great Deals / Doctor Who Inspired Tardis Necklace Only $7.99! Ships FREE! Doctor Who Fans! Order this Doctor Who Inspired Tardis Necklace for Only $7.99! Ships FREE! Now you Whovians can travel through time and space in style! This necklace features the police box that travels through space and time! Intricately detailed and available in aged bronze or silver, the police box hangs from a 20 inch matching chain!